If keeping up with industry regulations feels like a maze of complexity, let the experts in the HighCastle Compliance Practice help. 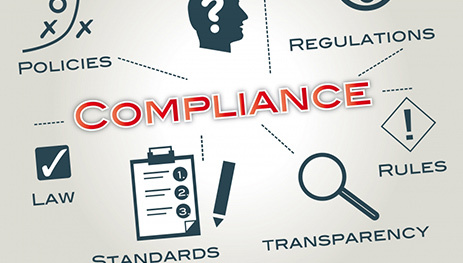 With deep expertise in the areas of HIPAA, PCI-DSS and evolving SEC guidelines, our Compliance Practice team can assess your current status and get your organization up to date with the latest regulation and stay compliant in the ever-evolving landscape of industry-specific security requirements. Whether your organization is subject to Level I or Level IV PCI requirements, we can support your needs around compliance driven assessments. We can support a discrete or continuous model for your PCI Assessment needs. We also offer penetration testing of your security posture, based on PCI-DSS guidance. Contact us today to see what we can do for your organization. Protecting data subject to HIPAA compliance is key to retaining the trust of patients. Our HIPAA compliance assessments are tailored to this goal and to the privacy concerns of healthcare organizations at large. We also offer hosting and disaster recovery/backup services for data and environments subject to HIPAA compliance. Contact us today to learn how we have helped other healthcare organizations achieve their compliance and security objectives. Though SEC guidelines are not as mature as other compliance requirements to date, we do believe this to be changing and we currently assess and advise our financial clients in respect to the guidance that has been released, as well as anticipated updates. Stay ahead of the evolving regulations and retain the trust your financial clients have placed in your organization. Contact us today to explore how your security posture stands up to the current SEC guidance on cybersecurity.